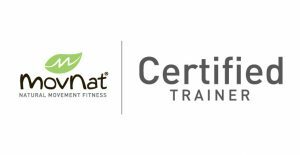 Adam Fawcett, founder of Vibrant Fitness, is more than a personal trainer; he is also part motivational coach/part entertainer in his efforts to educate others about the benefits of better health and quality of life through exercise. His excitement and love for good form and effective exercise are contagious, and he is known for his enthusiasm, intensity, and humor. Adam has been dedicated to fitness training and group exercise for over twelve years. He is a scientist of functional fitness training, drawing on decades of practice in T’ai Chi/Chi-Gong and Yoga, a fascination for the workings of the human body, and a background in Mechanical Engineering to provide best practices in physical fitness training.